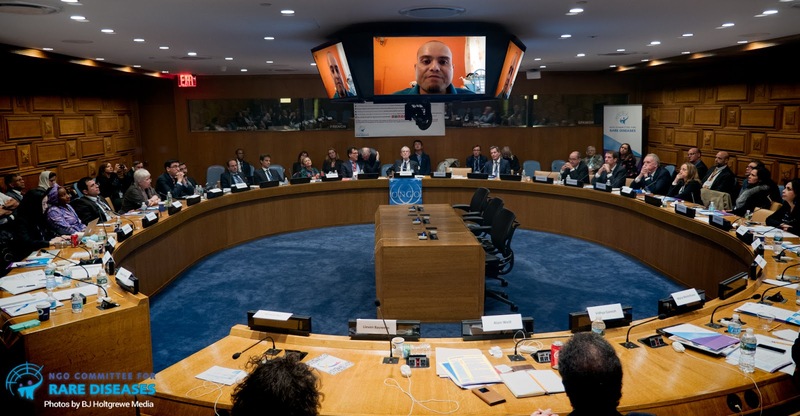 Founder of Atypical HUS India Foundation, Kamal D. Shah spoke (via video) at the United Nations opening of the NGO Committee of Rare Diseases recently. The committee aims to address issues pertaining to rare disease patients across the globe. Shah spoke about the issues of access to drugs in developing countries. Shah also said that the work of the committee can help patients from countries like India. Here, patients did not have access to drugs that can cure them even though the drugs were available elsewhere in the world. This is a picture from the event. I attended the aHUS UK patient meeting and the aHUS Alliance meeting in London during the last week of June. 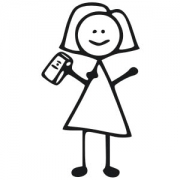 I learnt a lot of new things about aHUS. I am going to summarise the learnings here. This should ideally result in a reduction of the price of Soliris from Alexion which would mean a better chance of access to it as well. Competition is always a good thing! Each of these drugs acts in different ways but the end result would be similar - treatment of aHUS, at initial occurrence, subsequent occurrences, for kidney transplants etc. Another advantage of some of these drugs is that they could be administered by sub-cutaneous injection or even orally rather than the IV infusions that Soliris needs. There was also some talk about Alexion working on a sub-cutaneous version of Soliris. All these drugs are still in early stages of development and clinical trials and may be years before they will be usable by patients in India. However, at least something is happening! I also learnt of a new mutation that is implicated in aHUS - DGKE. This mutation unfortunately is not treatable by Soliris since it is not associated with complement activity. We had a good discussion on how to improve situations in countries where access is not complete. Another discussion was had on the possibility of withdrawing Soliris and monitoring closely. This would reduce the cost per patient enabling more patients to get access to the drug. Patients were wary of this due to the risks involved. Prof. Tim Goodship presented the history of aHUS treatment in the UK and said that currently a National Service has been created temporarily being managed by his team at Newcastle upon Tyne. The National Service is responsible to decide which patients should be given Soliris. "The main objective of Rare Disease Day is to raise awareness amongst the general public and decision-makers about rare diseases and their impact on patients' lives." What can you do on Rare Disease Day? For starters, you could change your Facebook and Twitter profile pictures to the Rare Disease Day logo which is available here. This will raise some questions among your friends and family about the day and you could explain. You could also write a blog post on the topic. There could also be a Rare Disease Day event in your city which you could participate in. There is very little awareness about rare diseases in India. It is important for people to know about this. If people get to know, it would be that much easier to convince law-makers and people in important, influential positions to bring about change that would help patients afflicted by rare diseases. Here is a link to the poster of this year's Rare Disease Day. The Atypical HUS alliance website is live! The website for the Global Alliance for Atypical HUS is up! Well, it is still under construction and has only the home page now but it will soon be completed with a lot more content. I am happy to let you know that Kamal from Atypical HUS India is a part of the group that is working on this website! For those who have progressed to ESRD after aHUS, the possibility of a transplant is the most important question. Here is an article that reviews two cases of transplants in aHUS patients. The aHUS Global Alliance had its meeting at Paris in November. As you might be aware, aHUS India also participated in the meeting via Videoconferencing. 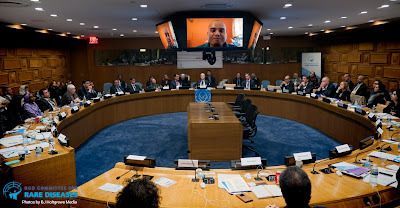 The videos of the meeting are now out and have been uploaded to Rare Connect, the umbrella organisation for all Rare Disease support groups from around the world. aHUS India's video is also up there!